Cover art by Barry Windsor-Smith. The Frost Giant's Daughter, script by Roy Thomas, art by Barry Windsor-Smith. Snowy battlefield; Conan chases Atali across the snow, slays her two frost giant brothers, and catches her; Her father, Ymir then takes her from Conan. This story originally appeared in Savage Tales 1, but for its publication here Windsor-Smith added another page (a new splash page), and some panels and dialogue were altered for Comics Code approval. Back-up reprint story: The Sword and the Sorcerers (from Chamber of Darkness 4), script by Roy Thomas, art by Windsor-Smith. 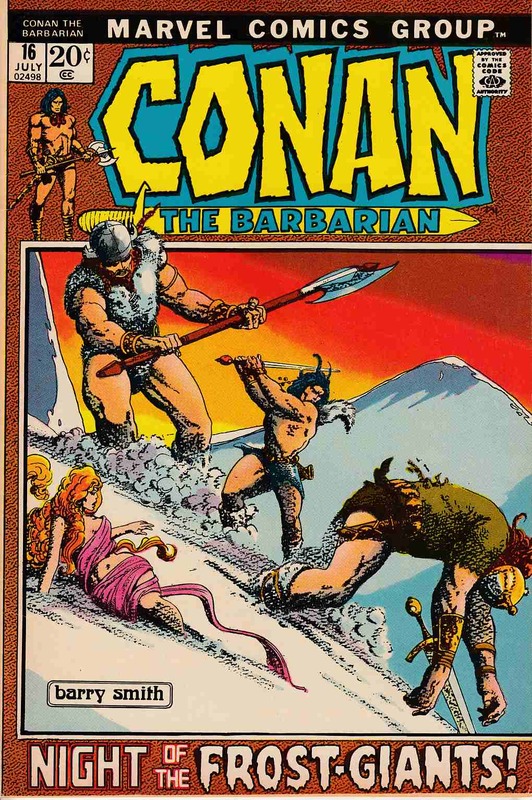 Also in this issue: a full-page reprint of the Hyborian Age map from Conan 1.